Queens of the Nile will tell the unique story of the ancient Egyptians pharaohs’ wives during the New Kingdom period (1500 to 1000 BC). 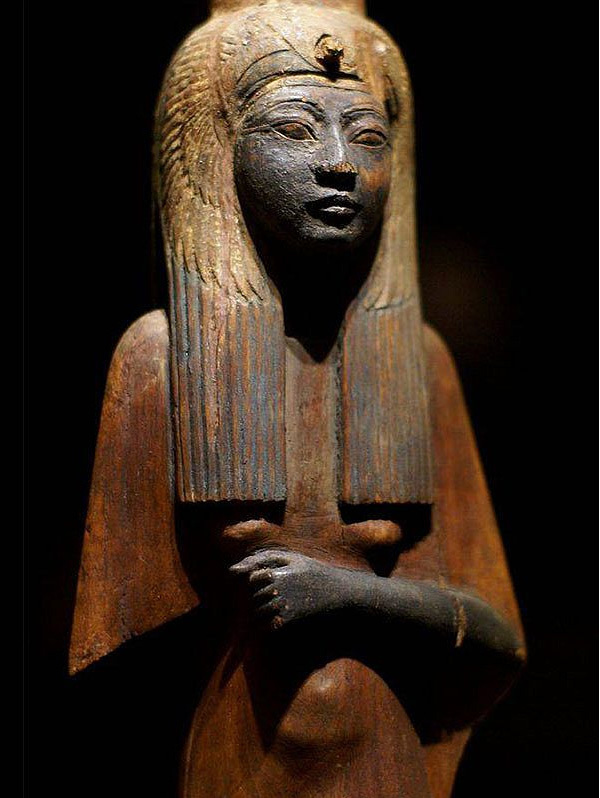 Visitors can admire 350 top archaeological pieces, including rare sculptures, magnificent jewellery and luxurious artefacts used by women at the Egyptian court, plus the sarcophagus and grave goods entombed with one of Egypt’s most celebrated queens, Nefertari. The Museo Egizio in Turin is loaning 225 of its finest objects for the exhibition. This is the second largest ancient Egyptian Museum in the world. The exhibition will bring to life the riches enjoyed by the royal ladies of ancient Egypt, the intrigues they engaged in and the honours paid to them. During the New Kingdom, ancient Egypt was at the height of its power. Pharaohs were lords and masters of their realm and worshipped as gods. Their queens were also accorded divine and regal status. They fulfilled important religious functions and sometimes had temples especially built for them. Their divine status often continued after their death. Famous queens as Hatshepsut, Tiye, Nefertiti and Nefertari were powerful women who were not simply wives but who ran the pharaoh’s palace and exercised significant political power. Although pharaohs could marry many wives, only one was allowed to bear the title ‘Great Queen’. She managed the day-to-day running of the harem, which sometimes comprised hundreds of women. At court she was surrounded by sumptuous jewellery, magnificent clothes, cosmetics and furniture. In the exhibition, beautiful artefacts such as necklaces, rings, glass scent bottles, painted vases and bronze mirrors provide a glimpse of the opulent life led by queens at the Egyptian court. A unique element in the exhibition will be the display of objects recovered from the tomb of Queen Nefertari. Her tomb, plundered in antiquity, was discovered in the Valley of the Queens, close to the Egyptian city of Luxor, in 1904. Regarded as the finest tomb from ancient Egypt, one of its richly decorated chambers will be reconstructed in the exhibition. Here visitors can experience the mystic beauty of Nefertari’s tomb, in the presence of her sarcophagus and gifts deposited at her entombment. The Museo Egizio seldom loans these precious grave goods.